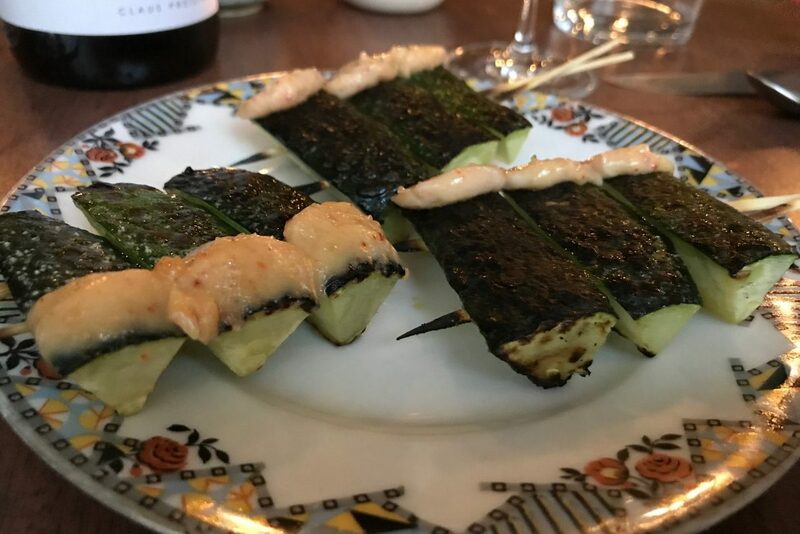 Le Rigmarole opened in October 2017 and delighted me more than any other restaurant that year. 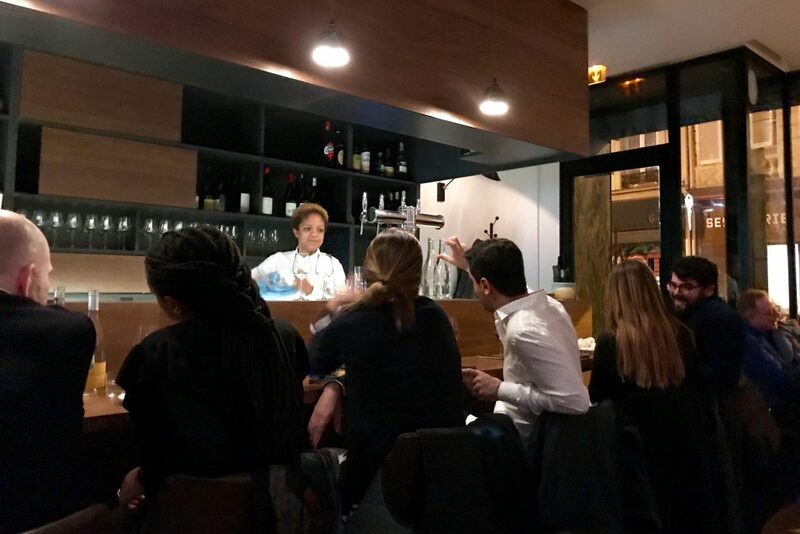 A recent return visit confirmed that Le Rigmarole should be a destination for both locals and visitors alike. The menu is an improbable collection of dishes inspired by French-American chef Robert Compagnon’s clear obsession with Japan and his skill with yakitori, but in addition to grilled meats and seafood, you’ll also find handmade pastas, beautiful (often tempura fried) vegetables, and stunning desserts. 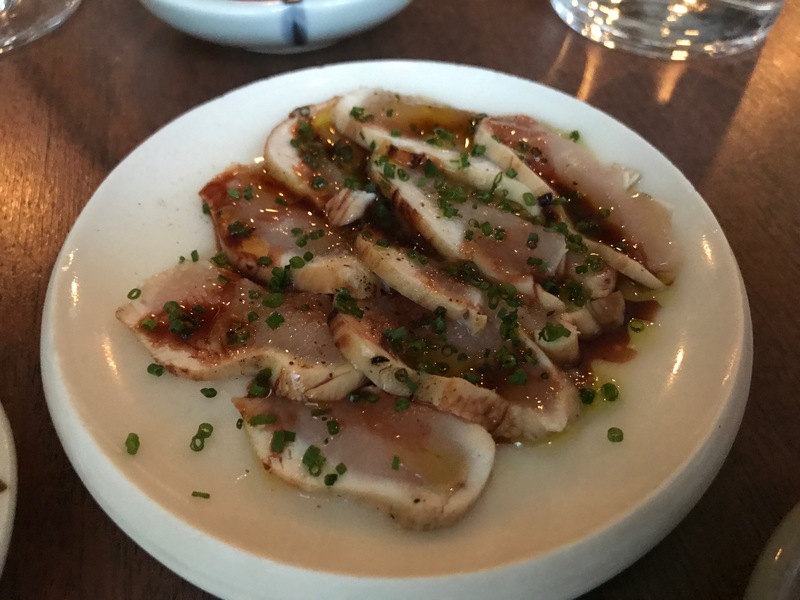 After the first visit, when Compagnon asked us to name our least favorite dish, it was a struggle to find much to criticize among the fifteen dishes we had devoured. 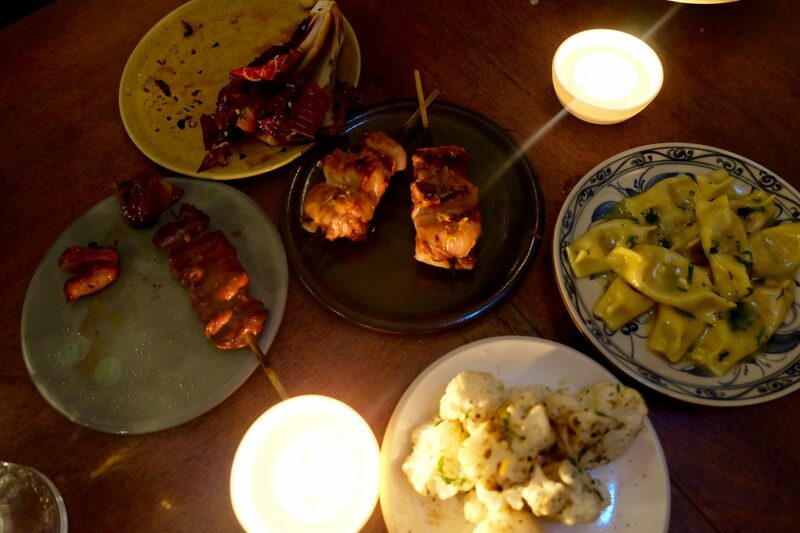 The chargrilled chicken hearts were profoundly delicious. 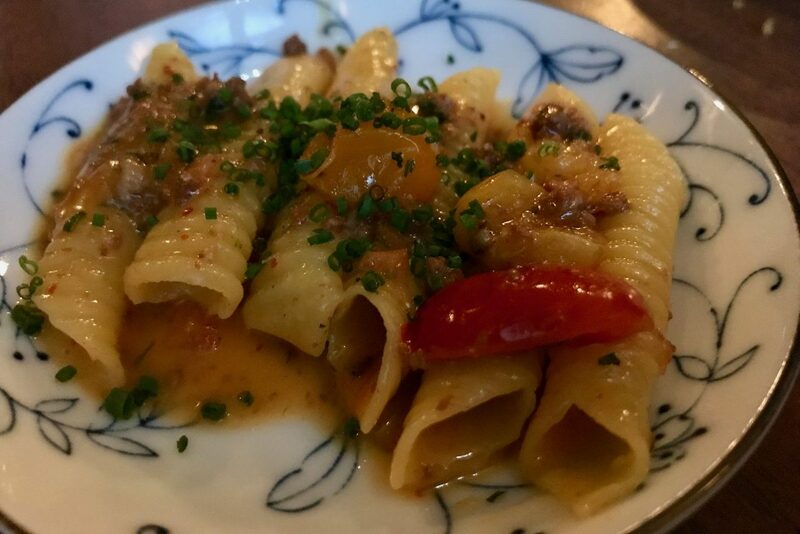 The fanciulle pasta with pigeon and liver ragout was funky and fantastic. 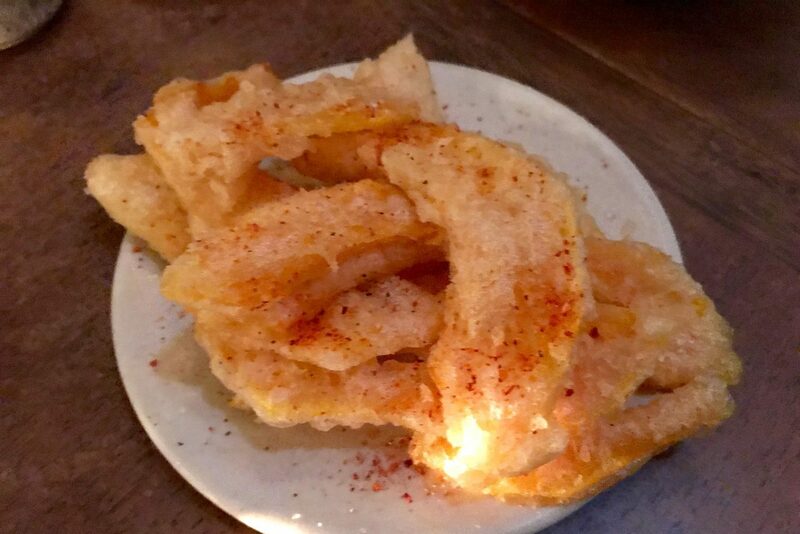 Tempura fried butternut squash was so delicate it seemed to dissolve before I could swallow. 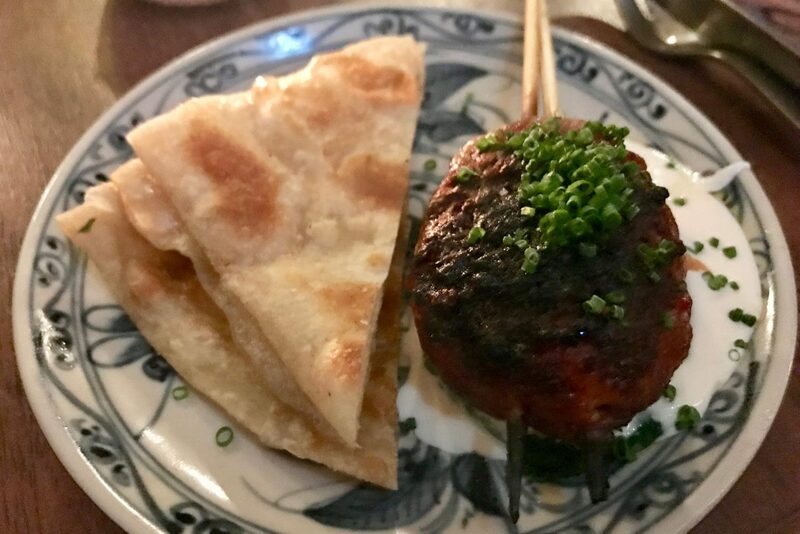 And an off-menu order of grilled chicken neck made us blush with gratitude for all the work that went into retrieving (and not wasting) the edible meat. 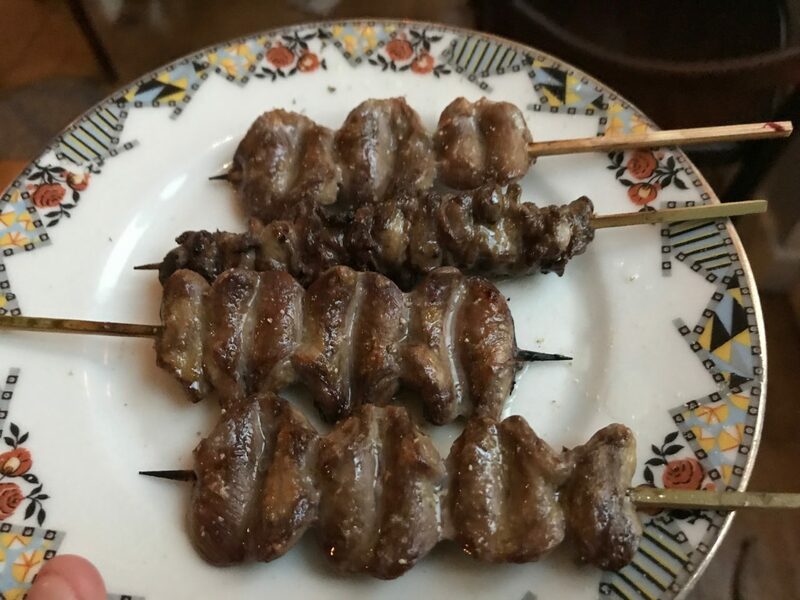 More recently, we tasted the much-discussed aorta, along with some torisashi (chicken sashimi). We survived, and we enjoyed. Adventurous eaters should alert the staff that they are open to tasting unusual parts. Less daring diners will also find plenty to enjoy here, particularly among the pasta and vegetable options. 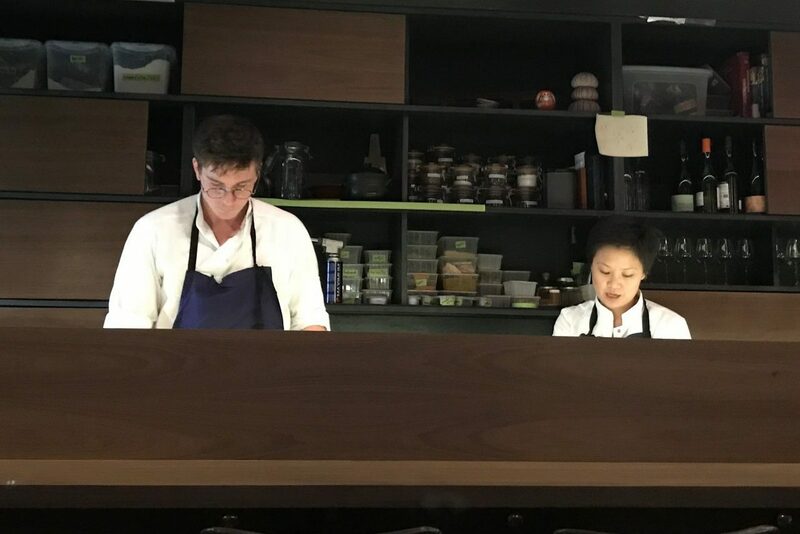 Co-owner Jessica Yang, a Taiwanese-American pastry chef who was previously at Rebelle and Per Se (NYC) and Guy Savoy (Paris), delivers a stunning finish with desserts like chocolate fondant with praline and buckwheat ice cream. 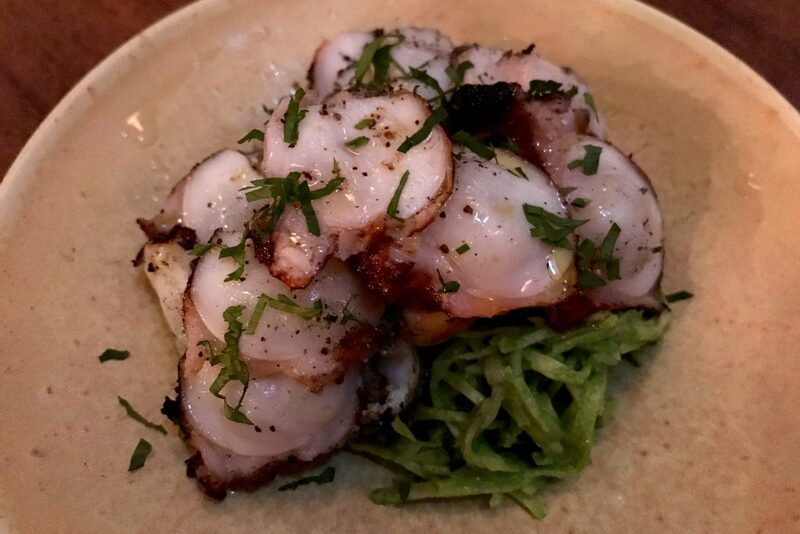 On top of everything else, the warm welcome and well-appointed wine list provided by Crislaine Medina are setting this place apart from the sometimes surly competition. 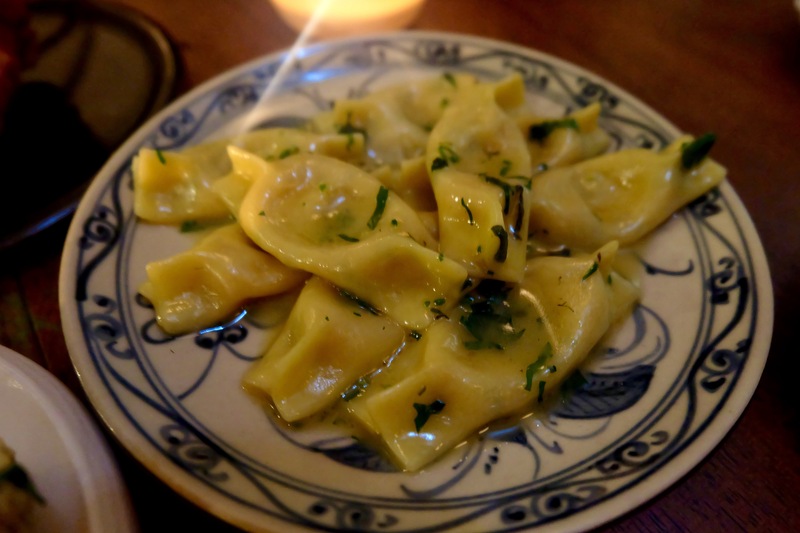 Le Rigmarole is honest, inexpensive and delicious. It’s casual and a bit chaotic, and it deserves to be packed every night. Hours: Open for dinner Wednesday through Sunday. Closed Monday & Tuesday. 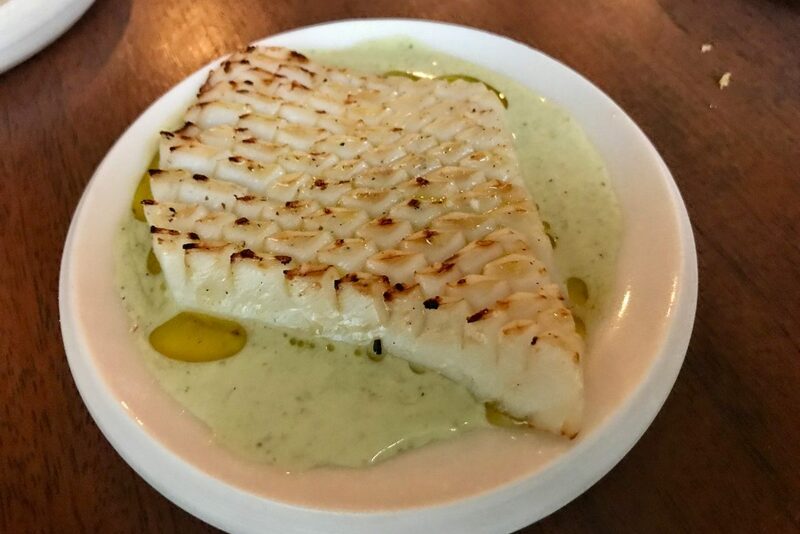 A Nous Paris (2017) awards 4/5 dots, raving about the “sublime” grilled squid with spiced yogurt sauce and the grilled aorta (for real).